Are you looking for a Utah County appraiser? Then look no further! Aspen Appraisal is the best in the business and we will meet your needs! Matt Fentheway, the leader of our team, has years of appraisal experience. He regularly presents to appraisers about the Uniform Standards of Professional Appraisal Practice (USPAP), Federal Housing Administration (FHA) appraisal guidelines, and about how to appraise effectively. At Aspen, we have a team of experienced Utah County Appraisers who know what Matt knows and typically have at least five years of experience. Our newer employees are carefully trained by more experienced appraisers to ensure they are prepared to serve you. Aspen is an experienced business that is prepared to meet your needs. Some appraisers make rough appraisals and do “guesstimates.” We do not. We will do a thorough evaluation of your property and look at what every part of the property is worth. 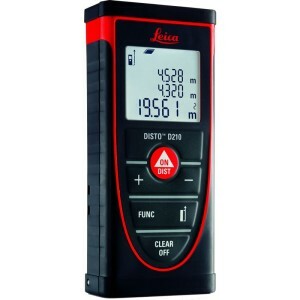 When appraising homes, we use Disto Lasers to make sure our measurements are accurate and fast. We each carry an iPad with an appraisal form that must be totally filled out for each appraisal. This ensures that everyone on our team is fast and efficient, as well as being thorough and complete. When we appraise your home, we will take photos, and note all of the features, conditions, upgrades, and other characteristics of your house, making sure we get every piece of information we can. When our appraisal is completed, the information on our iPad will be automatically uploaded to our office appraisal software. This saves us time, and, consequently, saves you money. Sometimes clients tell us that they have a hard time understanding other appraisers’ reports. At Aspen Appraisal, we will make sure that you understand everything in our report. In addition to our initial inspections, we provide you with a consultation, which is included in the appraisal fee. We will go over the entire property valuation report and any applicable Federal Housing Administration guidelines with you, to make sure you understand everything our report entails. We will answer all of your questions and make sure you understand your appraisal report. At Aspen Appraisal we have a team of appraisals with a full support staff. This ensures that our appraisers can focus on what’s most important to us: you. Our appraisers do excellent work because they are supported by excellent receptionists, researchers and accountants. Whether you’re a BYU Cougar in Provo, an A. F. native at the foot of Timp, or part of the growing community in Saratoga Spings, Aspen Appraisal is the right team for you. 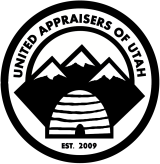 We have appraisers who understand the Utah County market and can meet your needs. If for any reason we can’t reach your area, we have a network of professional appraisers who we can refer you to. We are a great value, we know the market, and we are the best. Our appraisers are Certified Residential Appraisers with years of experience, and we pride ourselves in following appraisal standards to the letter. Contact us for a FREE quote and to see why Aspen Appraisal is right for you.